There is growing talk of an available housing shortage in this country because people are not moving from their current homes fast enough to meet what some people consider to be acceptable supply levels. There is no shortage of home. people are still buying and selling residences. Builders are still creating them. Investors are still buying them and turning them into rentals. What is happening is that people are staying put for longer time periods that what we have seen for a while. The fact is that people in general like the homes they are living in. The vast majority of people – especially those over 65 – want to remain in their present home and not move. The younger people who are purchasing their first home are devoting much more energy and research into looking just the right home for themselves – one that suit them long-term – so they are in no hurry to move and may even live in that same home their entire lives. So, this has created a housing shortage of sorts. The Baby boomers are receiving the blame, but it’s not just them. Traditionally, there has been turnover in housing as the people living in a given home now decide that they want to do something else – build a new home, go to another city, give up home ownership and move to a rental, purchase in another neighborhood, downsize, upsize, move in with family, or move to a senior living facility. This is much the same as visiting a popular restaurant and waiting for a table. There is an average rate of turnover as people complete their meal and leave (this is how they can tell us the approximate wait time for a table, along with others ahead of in line), but there are those who linger longer with dessert and drinks so that their table is not available near as soon as projected by the staff. However, is it really all on the Boomers? Partially, but not totally – and what if it is? Do people have to move every so many years just because there is someone waiting in line to purchase their home and move into it? Desirable neighborhoods, good school districts, attractively designed homes, and popular price points all factor into homes that people want to move into and may be the most in demand, but there are also other factors. Still, as people find that they like the home they are living in, they like the neighborhood and are familiar with coming and going (on foot, bicycle, or car), and they can handle the financial obligation of paying for their home and maintaining it, they are in no hurry to give it up and start all over with something else. It’s not like purchasing a new car with newer technology, lower mileage, and other attributes which can only be obtained by buying a much newer or brand new vehicle. A home can be upgraded to like-new status with the proper budget and patience, but many improvements can be added to it which are going to modernize it. Builders are still creating new homes – production homes in new subdivisions, custom homes, and in-fill homes. This will continue, and this helps offset the lower inventory from the slower rate of existing homes coming back onto the market. At some point, one has to wonder, however, if there is going to be an oversupply of homes as existing homes begin trickling back into the marketplace at a faster rate and new construction continues. The median tenancy in this country has risen to a modern high of over thirteen years, meaning that half of the people owning homes have occupied them for over thirteen years. This number has risen steadily over the years to where it is now. This punctuates people’s overall satisfaction with their current home. Add to that the fact that they can’t replace their present home for what they invested in their present one, and the amount of stuff they have collected over the years, and it’s easy to see why staying put and aging in place is so popular. There is no particular generation that is responsible for the trend of staying in their home. People in their eighties (from the Silent Generation) are staying put, along with the Boomers, and younger generations. 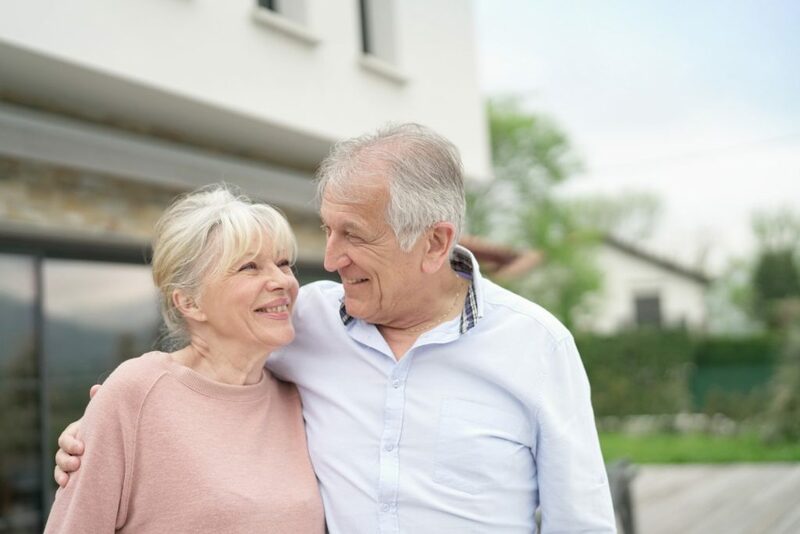 It’s not an age or generational issue as much as the comfort and convenience of aging in place and foregoing the stress of getting their current home ready for sale and looking for, finding, and moving into another home – and then starting the process of adjusting to that new home all over again. Aging in place is here to stay.